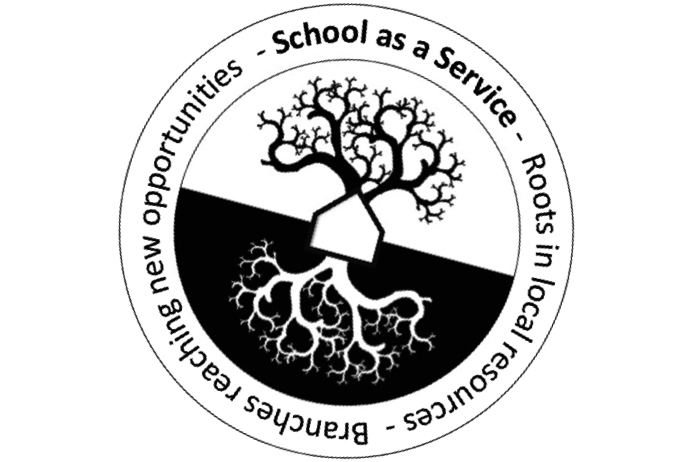 School as a Service (SaaS) is not defined by traditional ideas of buildings and spaces. It is agile and inspiring network of new and existing local resources. SaaS idea is based on Service Dominant Logic, where students in this case are seen as active participants of the learning processes, and goods (as buildings) have instrumental value to support learning. SaaS solution is based on digital technologies, new methodologies for learning and services designed to support network of resources rather than independent buildings. SaaS is focusing on developing and designing new learning activities and environments for digital natives. The City of Espoo has decided to develop a fully functioning pilot for networked learning ecosystem based on SaaS idea on Otaniemi campus in collaboration with Aalto University.